The Tudors spans a time from 1485 to 1603 encompassing the reigns of Henrys VII & VIII, Edward VI, Mary and Elizabeth I. Fox and Geese or Fox and Hounds. 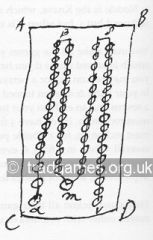 Picture is a figure showing the path of a Noddy board. Note that is differs to a typical cribbage board. 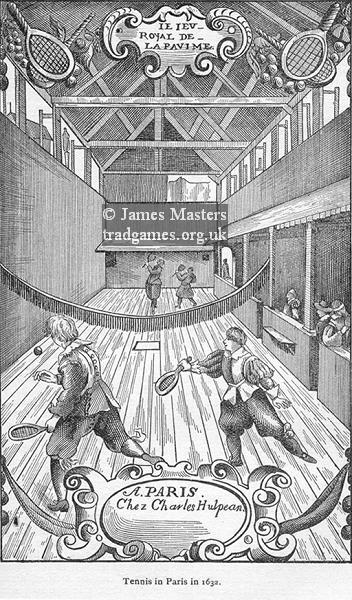 Robert Burton in the Anatomy of Melancholy, published in 1621, includes the following as suitable winter entertainment: "cardes, tables and dice, shovelboard, chesse-play". The royal household accounts include payments for ‘two foxis and 26 hounds of silver overgilt’ during the reign of Edward IV. 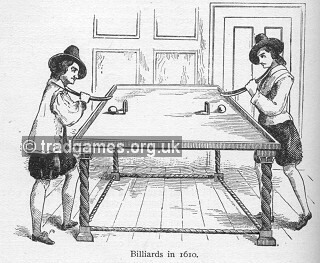 In 1588, the Duke of Norfolk owned "a billyard bord covered with a green cloth…three billyard sticks and eleven balls of yvery." Copyright © 2019 - now by James Masters.